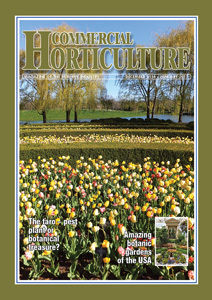 Commercial Horticulture is published 6 times per year. Issues are Feb/Mar, Apr/May, Jun/Jul, Aug/Sep, Dec/Jan. For all Advertising and Editorial enquiries, please Ph 09 358 2749 or from outside NZ +64 9 358 2749.